Cruise Port Connection - Seward Reviews, Port Contacts & more.. Whether your staying locally in Seward or charting to Anchorage, Whittier, Homer, or anywhere on the contiguous Alaska Road System, let Mike and his drivers get you there. Locally, we can show you the best places to stay, to eat, and shop that fit you, the local sights and hot fishing spots. Traveling, our van's and SUV's can get you from A to B. Showing you the best places to stop along the way. We are a Seward based guiding and hiking company focused on providing affordable Alaskan Adventures on the mountains and glaciers of Alaska. We have been running our hiking and climbing tours out of Seward for seven years now, and we are the only company in town offering guided glacier tours. If you want to experience sea kayaking in this beautiful setting, but have limited time while vacationing in Seward, our three hour guided tours are a great introduction to sea kayaking. We use stable and efficient tandem (two-person) kayaks allowing both novices and aspiring experts to paddle comfortably; day tours from three different locations in the Seward area: Kenai Fjords National Park, Fox Island and Lowell Point. Morning Paddle- Quiet waters often make the 9 am - 12 pm paddle a great way to start the day. Afternoons tend to be a bit windier in Resurrection Bay making the 1 pm - 4 pm tour great for those wanting a bit more active paddle. 6:00 pm to 9:00 pm- or enjoy the peacefulness of an Alaskan evening while kayaking in the land of the Midnight Sun. Alaska’s only public aquarium and ocean wildlife rescue center is celebrating ten years on the shores of Resurrection Bay. Visitors to this “window on the sea” have close encounters with puffins, octopus, sea lions and other sealife while peeking over the shoulders of ocean scientists studying Alaska’s rich seas and diverse sealife. The Alaska SeaLife Center generates and shares scientific knowledge to promote understanding and stewardship of Alaska’s marine ecosystems. Kenai Fjords National Park abounds with marine sealife and is a must for those interested in Alaska glacier cruises, whale watching, Alaska bird watching, and wildlife viewing. Seward Alaska and Kenai Fjords National Park are terrific destinations for your Alaska adventure. A Kenai Fjords Tours exclusive offering, our guests can disembark and explore a remote island wilderness at the heart of Resurrection Bay. Visit the day lodge for a mouth-watering buffet, or even arrange an overnight stay in one of our guest cabins. PJS Taxi provides custom transportation using minivans. Locally owned and operated since 1991, we are Seward's longest running taxi service. Transfers between Seward, Whittier and Anchorage are just some of our specialties. We also do custom charters to Exit Glacier, view spawning salmon, wildlife sightseeing and historic tours of Seward with local, long time resident drivers that know the area well. We are more than just a ride..we're your local guide. Take a spectacular helicopter flight over some of the most majestic mountains in Alaska. Watch for mountain goats, eagles, bears, moose and other wildlife while flight seeing over the Kenai Mountains and surrounding area of the Kenai Fjords National Park. Searching for that up-close and personal Alaska whale watching, tidewater glacier viewing and sea kayaking experience? This is the trip for you! A full day grand adventure combining a cruise on a 40 foot vessel out to Kenai Fjords National Park and guided kayaking adventure among the glaciers in Aialik Bay. Located at the terminus of both the Alaska Railroad and the Seward Highway, and an embarkation/disembarkation port for many cruises, this town of 2,619 residents is easily accessible from Anchorage yet can serve as a base for anybody who likes to kayak, hike, fish, whale-watch and glacier-view. The small coastal town of Seward is known for its scenic views, numerous visitor attractions, and as the gateway to Kenai Fjords National Park. Seward is located about 125 miles south of Anchorage, about 3 hours by road. The town is the southern terminus of the Alaska Railroad, dating back to its origins in the early 1900’s. 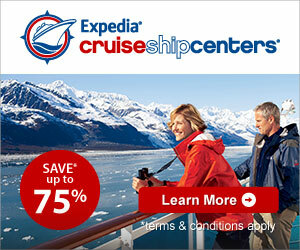 It is also used by several major cruise lines as a "turn around" port for their Gulf of Alaska Cruises. Seward has over 3,000 year round residents, however that number swells considerably during the summer visitor season. The town is famous in Alaska for its Fourth of July celebration that features a grueling foot race to the top of the 3,000 foot Mt. Marathon. You won’t be disappointed with Seward’s fine selection of shops, restaurants and lodging choices. There is fantastic hiking nearby, a quaint downtown, the amazing Alaska SeaLife Center and excellent in-town camping where you can park your vehicle and walk to most attractions. Many visitors take a tour-boat cruise along the coast south of Seward to watch glacier calve in a roar of ice and look for seals, sea lions and whales, while others head just north of town to view the road-accessible Exit Glacier.